Hi, I see you have transcribed burial information for John Glass. I'm curious to know if this might be the John Glass who died in 1909 at Gartloch Hospital Asylum. The death record gives no details of his life! I'd be grateful to know if the cemetery record has any info. Thanks! Apologies for the delay. I was on holiday. This John Glass has no death date on the stone. All it says is that he was the husband of Margaret Clarkson who died in 1923. I have another john Glass but he died in 1898. Sorry for the delay. I was on holiday. If there is an asterix I either cant read it or the stone says that the person died in 1929 or May 1929 etc. Quite often days and months are omitted from the death date on the stone. It just says 1890-1929 or died may 1929. David was a child that died in infancy, the son of William McDonald & Jessie Clark. Is your spreadsheet available for me to search or do I have to provide you with the info? 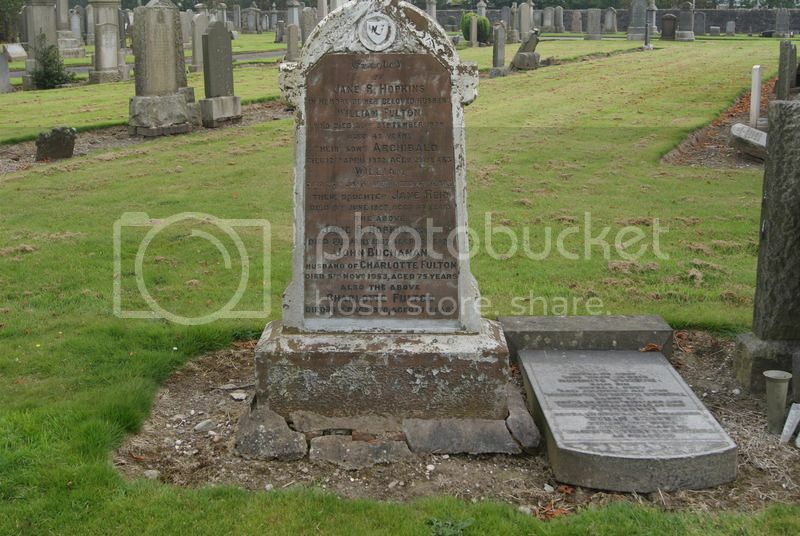 I have lots of family buried at Cadder and rather than trying to find out all the names/dates to request to you, I thought it would be easier to search myself. My gran passed away last year and she was the one who would've known all the info easily. Sorry for the delay. I'm afraid not, but I'm in dialogue with East Dunbartonshire archives as how to make this information searchable. In the meantime I'm happy to search for you. I've been told that you can send photographs or post them of Headstones etc. I am interested in any Fulton information. Or any Fulton at all. Do you require my Email Address? I have a headstone photograph of the Fulton's you are looking for. Here is the pic. If its not detailed enough, PM me your email address and Ill send you the higher resolution picture.